Burasinin puani neden bu kadar yuksek anlayamadim. 5 in ustunde puani kesinlikle hakketmiyor. Ama eger kotu bir aksam yemegi yemek istiyorsaniz mutlaka gidilmesi gerekir. Great tapas! Tried to go for dinner and they were packed so we went for lunch the next day and loved the food. Caramelized apple tostada was great. Good meat and cheese plate as well. A friendly recommendation. Take tapas one by one as those are huge :) and then enjoy good music and the friendly service here. The whole place is breathing with family and friendly atmosphere. Delicious tapas, everything was super good. Even better than the tapas is the staff: incredibly friendly service with good advice about the wine. We even got limoncello on the house after dinner! 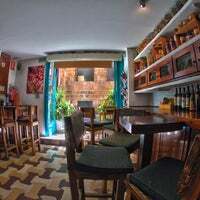 Very cozy wine bar with a good selection of wines. Has a bar half and a restaurant half. 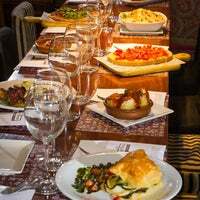 Often both halves are booked, so consider booking in advance if planning arriving late in the evening. The staff is very helpful. 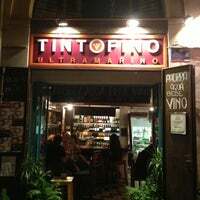 Although it is difficult to find English speaking good restaurants in Valencia, this place is an exception. The interior decor is good as food. Bruscetta was nice, goat cheese with tomato jam was a real surprise. Too much tuna on the vitello though and melanzane with parmesan powder.. Great service though! And the tiramisu was delicious! Everything! Awesome place. But do not hurry with tapas, take one by one, cuz all tapas are very hearty :) Will return for sure! 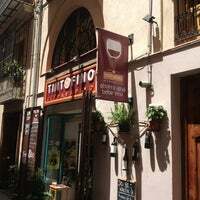 Buenísimos platos italianos aconpañados de buen vino del país. La atención fue de lo más agradable. Da gusto probar género de calidad sin que el bolsillo lo note. Отличные тапасы, особенно хорош тапас с козьим сыром и сладким томатным джемом. А так же прекрасный набор джинов, джин-тоник делают отменно! 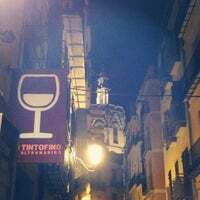 Las tapas y los vinos bien. Solo hay que tener cuidado al pagar, a una pareja a mi lado le estaban cargando 2 euros más que en la carta por uno de sus platos y lo mismo sucedió con mi cuenta. 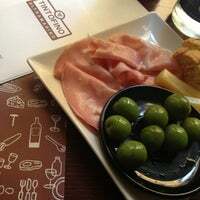 I had a great memory from about two years ago, but the quality of the food was not as high. 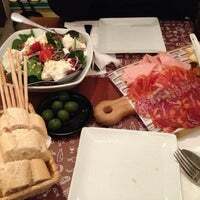 Some where really great, some ok, my friends said the meat dishes where rather dry. Very friendly service! Friendly staff with a great selection of meats, cheese and wine. Located on a cute street right across another great eatery. Excellent service. 3 tapas is enough for 2 people. This is where the locals go! A small local place with super sympathique waitress and delicious meals. Lasagna and tonnato are great, definetely recommended! Great food in a great atmosphere with friendly staff! Cheesecake is amazing!! Vibrant, cosmopolitan, young of spirit. 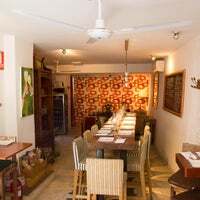 Tasty Spanish-Italian menu, variety of wines by the glass, overall friendly atmosphere. Albondigas de morcilla, aubergine and patatas bravas with aioli. Really good and a bit different. Very popular! The place is amazing!! good music, perfect staff and good tapas. 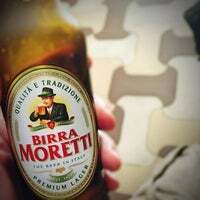 Come essere a casa. Un ambiente rustico e colorato e del cibo ottimo! Una cheesecake sublime, vini fantastici e tanta simpatia e accoglienza! Cosa cercare di meglio? Everything ... The service, the food, the wine, try the pork with artichok tapas...and great salads finalllyyyy. Amazing place! Great service and mood, personnel speaks english, food was great! Highly recommended! 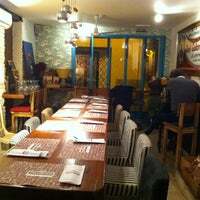 Very cosy, nice atmosphere, delicious food and very friendly! Try the cheese cake as postres! Very good food and wine. Nice atmosphere and the kindest service, we will be back! Nos reafirmamos en que la tarta de queso es sublime. De las mejores que he probado. Had high expectations with such good ratings but were deeply disappointed. The shrimp were off, the squid replacement was same bad... only decent dish was the casera. Lasagne and brandada were ok.
Great selection of tapas and quality as well! Very welcoming service! 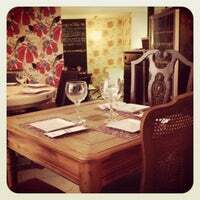 Really good small plates & tapas, great wine menu - worth a visit! Всё отлично. Обслуживание, кухня, атмосфера. Крайне рекомендуем! Sublime tartar steak and cheesecake. Order anything - you cannot go wrong! 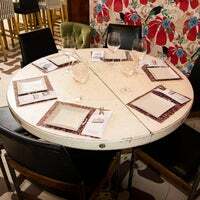 La comida genial y las camareras excelentes! Muy atentas y majas. Incredible food. Amazing atmosphere. Friendly service. Love this place! Unfortunately they open at 7, but their cook arrives an hour later. Tapas are good though and worth the waiting. На входе - маленький бар, а в глубине - большой зал ресторана. В целом вкусно, отличный выбор вина в тч по бокалам. 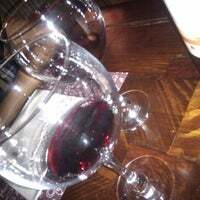 "Very nice quality food and great wines. The location is ideal as well. 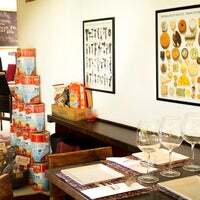 A must go, it's in the old part, and not aimed at tourists but for great food experience." 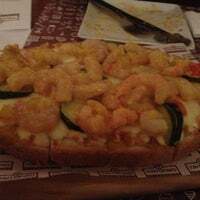 "Hipertensión recomendable: bocata de ternera cebolla queso y setas y bocata de tempura de verduras con mayonesa. Sublime!" "Deniz urunleri guzel ve ucuz; bu menu 18 euro 👍 hemen pazar binasinin karsisinda salas bi'mekan"
"Sit outside in the square with a beer and soak up the atmosphere"
"En tarihi ve temiz meydan :-)"
"Stunning inside, but with outdoor seating too. 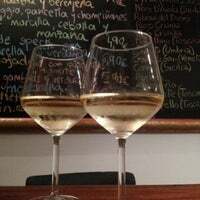 We had the best white wine we've ever tasted, as well as delicious Agua de Valencia. (You need to buy a jug of A de V - you can't just get a glass.)"